CX journey: obstacles and shortcuts. We specialize in drawing the customer journey, unveiling all the customer’s touch points that involve brand, product and service. Through direct interactions, observations and design thinking we discover the customer’s path. Each point of the customer journey has the strength to generate positive and negative emotions, where the customers build loyalty or sometimes also leave the brand. 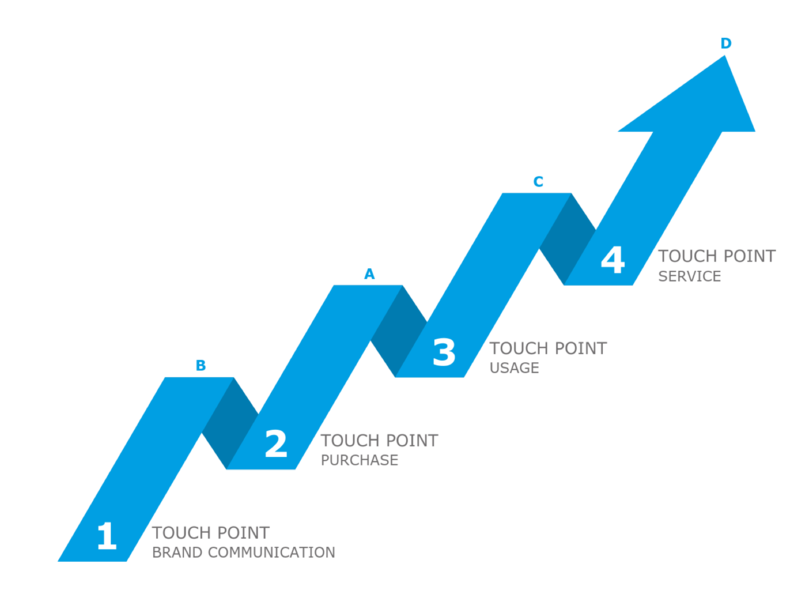 Through customer journey mapping, when detecting these inflection points, we can actually understand the reality that the customer lives in suggesting improvements to prevent abandonment. Understanding with greater clarity the customer journey and their reality. Comparing the customer’s own perception with the organization’s internal conceptualization of a process. Identifying moments of truth and the pain points which users and customers go through. Discovering blind spots in the design of the customer journey. Implementing satisfaction programs and more profitable recommendations with the proper tools and in the necessary channels.